What are you waiting for?! PCS season is winding down, and these MilitaryByOwner Homes of the Week on Fort Walton Beach are going to go fast! Eglin AFB and Hulbert Field assignments provoke jealousy among the troops, so your competition is fierce. Following are two rentals and two for sale properties personally picked just for you to make the search quick and easy. Sometimes finding an updated, attractive rental home can be difficult, let alone one with amenities like waterfront property and views, but this home on Ferry Road NE has both to offer its new tenants. 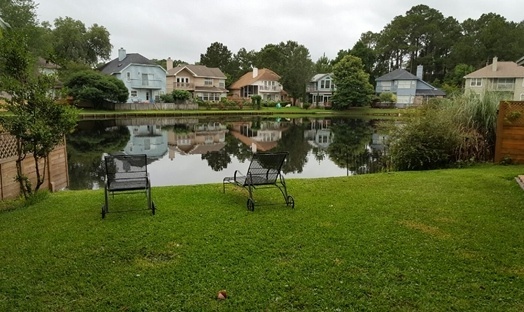 Located steps from a canal (Good Thing Lake), it also has easy access to Choctawhatchee Bay. If watersports are your heart’s desire, then you’re in luck because a covered dock that is large enough to fit a jet ski or boat up to 23 feet long is available. Land-based sports are also plentiful right across the street at Ferry Park. Beyond the granite tops, trey ceilings, decorative moldings, gourmet kitchen, custom floors, and waterfront great room, the little extras push this home’s desirability factor high. Lawn care is included, an interior Taexx pest control system is installed, and a home security system is ready and waiting. If you have to live in Florida, you should probably give waterfront living a try! Lake front living in Florida has its own special perks. Calm, quiet sunsets and serene views greet renters each night after a long day at work. It might have been a hectic day, but the commute is just minutes from Eglin and Hurlburt, making the location perfect for easing into the end of the evening. Inside, there are plenty of upgrades and space to spread out and entertain. An open kitchen looks over into the den and promotes interaction between friends and family. After preparing for guests with the double ovens and gas range, lead them to the enclosed screen room to enjoy the view and breeze. Later, if you need overnight space, there’s plenty to pick from, including a first floor bedroom with a perfect window seat. Outside, curb appeal isn’t lacking because a custom flagstone walkway leads right to a charming patio and grand front entrance. Floridians like to entertain, and this rental will do the job nicely! Move-in ready. It’s what all the buyers want, and this house delivers. Neutral paint and flooring make for an easy transition for adding your personal taste in decorating. Since the atmosphere is light and bright and even calming from the gentle tones, you won’t have to rush to change finishes quickly. Take your time to make this a one-of-a-kind space for your family. All of the key features are found inside, too: tile floors, gas fireplace, and vaulted ceilings. Granite counter tops and gas stove complete the kitchen and breakfast bar. Tranquil views are part of the package as well. Both the kitchen and family rooms have a perfect sight line outside. The cul-de-sac and sidewalks make the house child-friendly, as does the half-acre lot the home sits on. The patio and lush green back yard are perfect for playing and entertaining. 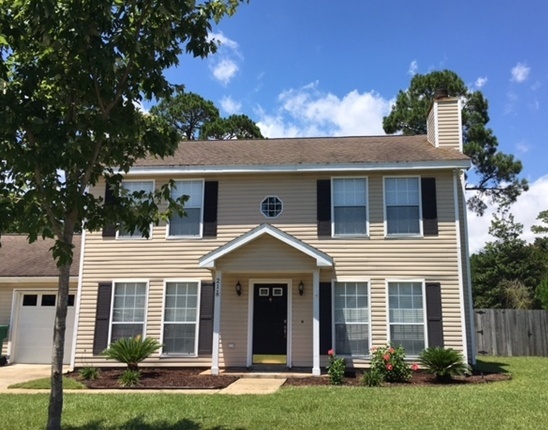 All of this comes with a home located less than 10 miles from Hurlbert and Eglin! 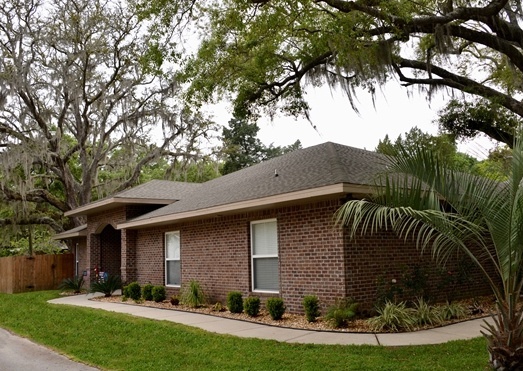 If you want to buy a like-new brick ranch convenient to Eglin and Hulbert, this is the one. The house has been kept in pristine condition and is barely four years old. The property doesn’t need to be improved, just adding your own effects will be improvement enough. Water views and access capture the Fort Walton beach vibe instantly, not to mention the corner lot with spacious parking for all of the water toys you’ll want in tow. Check out the virtual tour to feel the full impact of what this home could offer you! Fort Walton Beach really has it all with easy access to several military installations, neighboring cities, and gorgeous beach front. Neither the rentals or for sale homes listed above will be available long, as the PCS season is winding down. 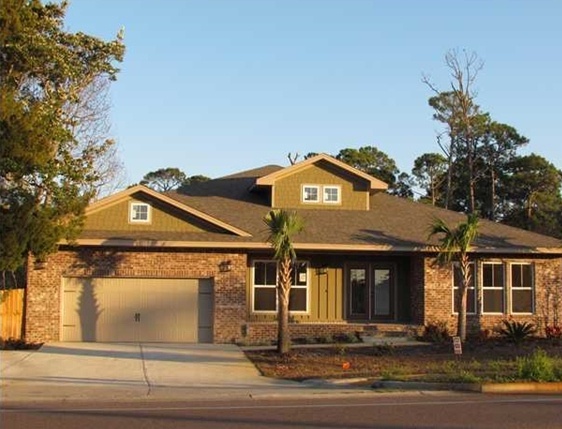 While the above homes are no longer listed, take a look at other Fort Walton Beach homes for sale or rent on MilitaryByOwner. There will certainly be something that will work for you!